why are they all getting together? They have these here in Missouri at Lake of the Ozarks every weekend during the summer. 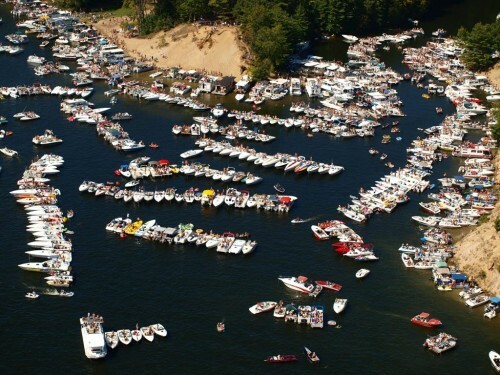 They call it party cove. yea it is a total blast i wish we did it all summer long i dont know why us crotonerrs dont start doing it but everyone that comes leaves us all talking about it til the next one around deffinatley is the party of the summer up here!! !